Levon Helm was an American singer-songwriter, musician and record porducer who played a vital role in establishing the Band as a seminal roots-rock group with his energetic, soulful vocal style and bottom-heavy, multifaceted drumbeat. In his later career, he had a highly successful encore career that culminated in three Grammy Awards. He has also appeared in various films, such as Coal Miner’s Daughter (1980), The Right Stuff (1983) and Shooter (2007). Born “Mark Lavon Helm” in Elaine, Arkansas in 1940, he grew up in Turkey Scratch, Arkansas, where his parents were cotton farmers. As a member of a music-loving family, he developed a keen interest in music at an early age. Helm started playing guitar and drums at the age of eight. 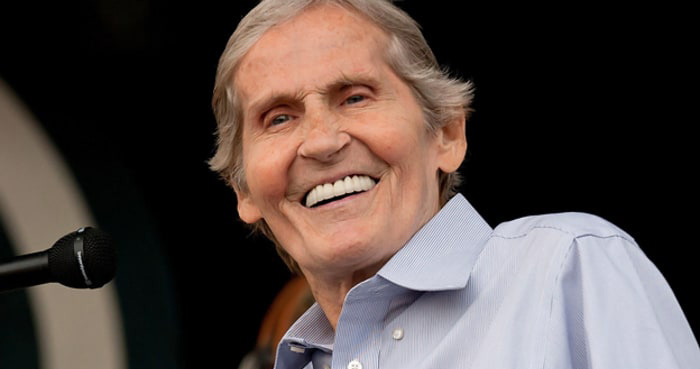 Levon Helm got his first major breakthrough at the age of 17, when he met Ronnie Hawkins, a prominent rockabilly performer. He started working in Hawkins’ backing band, the Hawks, after his high school graduation. Helm toured much of the United States and Canada at a young age and supported Bob Dylan on his first worldwide tour. While Dylan was booed by crowds due to his new “electric” sound, Helm decided to return to Helena in the middle of the tour. He made a comeback to the Hawks in 1967, and the group changed their name to The Band after recording new material with Dylan. They released their first record, Music from Big Pink, in 1968 with Helm on drums and backing vocals. Helm remained with The Band until their 1976 farewell performance on American Thanksgiving Day, The Last Waltz, which featured some of the finest musicians of the country. After the breakup of The Band, he embarked on a solo career and ventured into film acting. He has since released six solo albums and has appeared in several high-profile Hollywood movies such as Coal Miner’s Daughter (1980), The Right Stuff (1983), and Shooter (2007). Levon Helm won numerous awards and accolades in his career, including two Grammy Awards, a Country Music Association Award, an AMA Artist of the Year Award, and the AMA Lifetime Achievement Award. He was inducted into the Rock and Roll Hall of Fame as a member of The Band in 1994. Levon Helm married Sandra Dodd in 1981, whom he had met in 1975 in California. His previous relationship with singer-songwriter Libby Titus produced a daughter, Amy Helm, who was born in 1970.